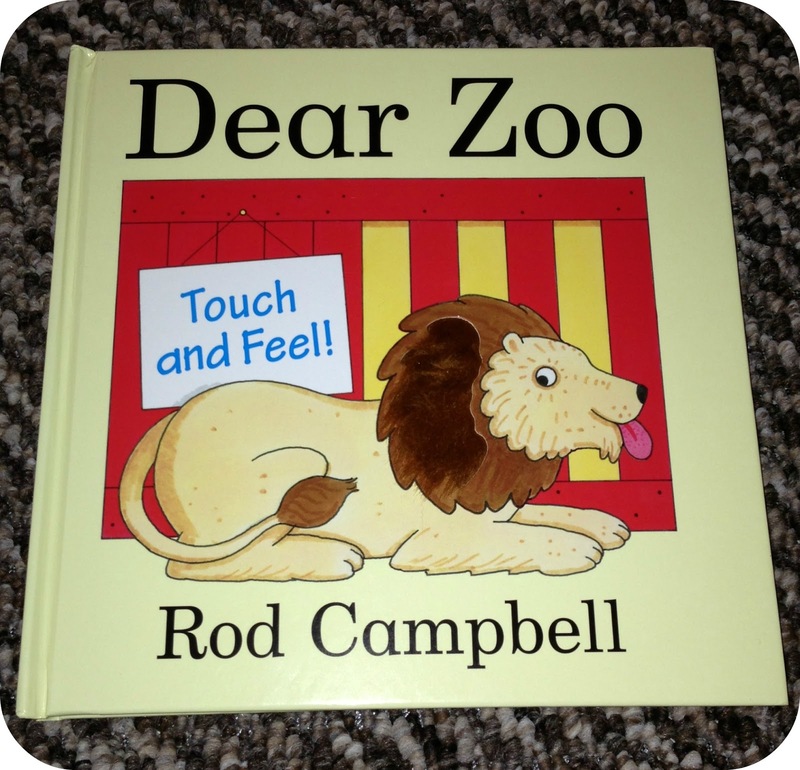 As a child I have fond memories of having bedtime stories read to me as I was being tucked up into bed, one of the books that really stands out from them all is ‘Dear Zoo’. Dear Zoo is a classic children’s book in it’s own right, offering a simple repetitive story line for those little ears to follow and enjoy. 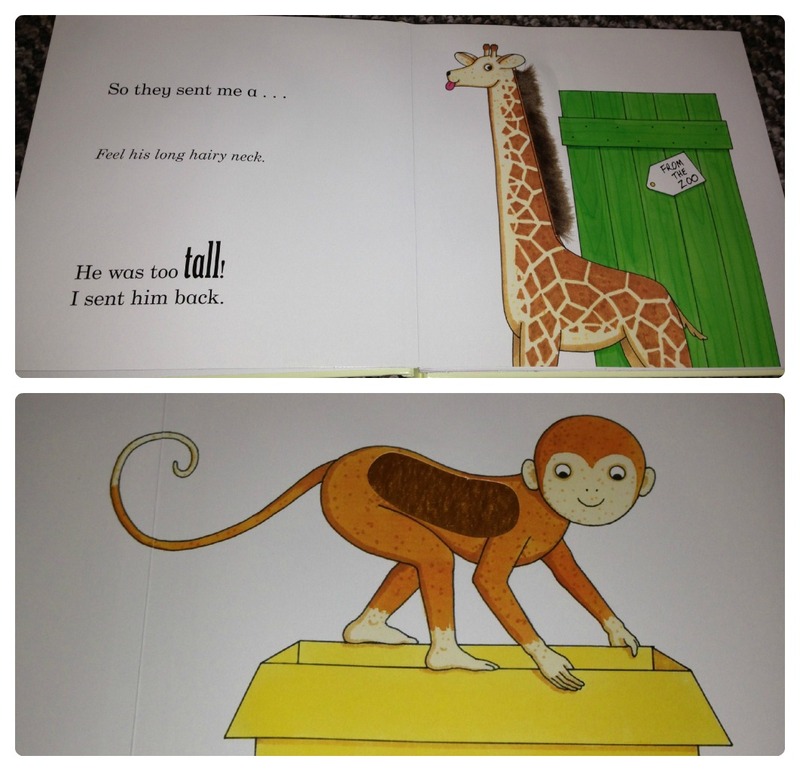 The very first page captures a child sending a letter to the zoo… ‘I wrote to the zoo to send me a pet’ and with each page you turn, a new zoo animal is introduced to the mission of a small child trying to find the perfect pet. The zoo kindly send the young child pet after pet in the quest to find one that is the right size, temperament and of course…One that won’t try to eat you! So with every pet the zoo sends that is far from ideal, it get’s sent back to them. Eventually though the zoo send the child an ideal pet, a perfect pet that they keep as their own. Leo has been sent the Dear Zoo Touch and Feel Book by Rod Campbell for his very own bedtime story. When this book arrived I instantly snuggled up with Leo on the sofa and we sat together and read the story together, while taking in all of the textures. Leo’s favourite is the long hair on the Giraffes neck. The touch and feel aspect to this book is fantastic and brings a whole new dimension to an already brilliant children’s book. There is a different texture to each animal and brand new art work throughout the book. 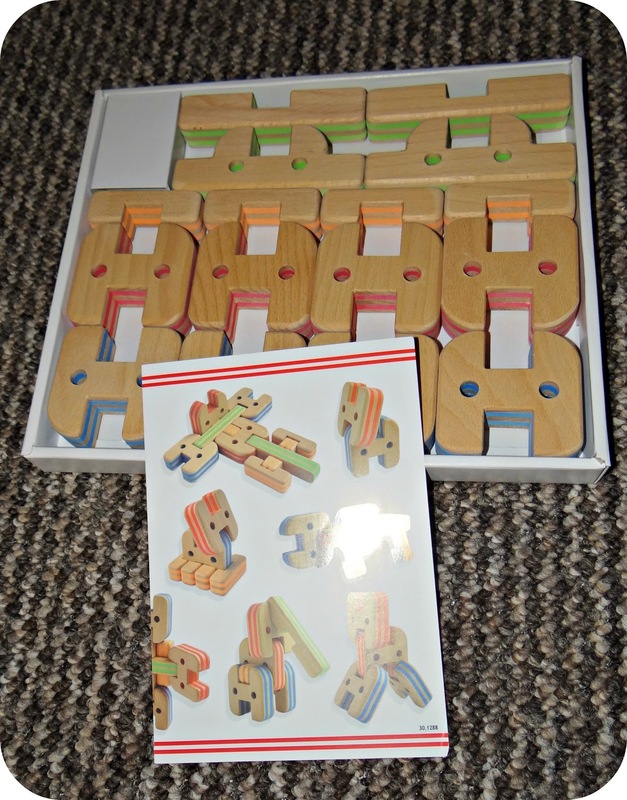 The book has lovely thick board pages so there is no risk of Leo’s clumsy hands tearing it, and it is a book that he really loves to flick through on his own, as well as having it read to him. ‘Dear Zoo’ really is a timeless story that is being enjoyed by generation after generation, and I am so glad that I get to read this story from my childhood to my own little boy. 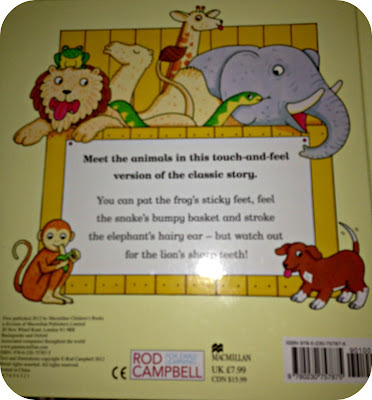 The Dear Zoo Touch and Feel Book retails at £7.99. Disclaimer: I was sent the Dear Zoo Touch and Feel book for the purpose of this review, however all views and opinions expressed are completely honest and my own. 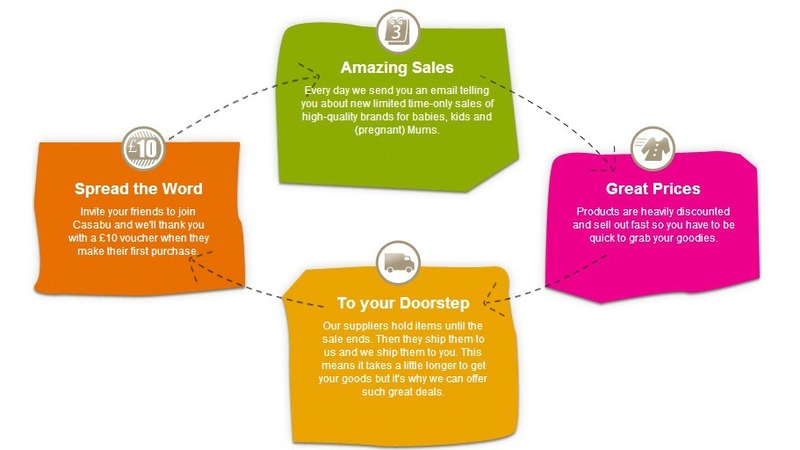 With online shopping becoming a big part of our everyday lives it is safe to say that we all rely on courier services delivering our parcels to us. I am no exception to this rule, living in a small riverside town that could quite easily be mistaken as a ghost town these days, we seem to have more empty shop windows and pound shops than any other town on the globe! These days shopping online is the only way I can ensure that I can find exactly what I am looking for, and instead of heading to the high street to watch the tumble weed blow, I take to the internet. I receive parcels on a very regular basis and more often than not I provide my parents address as there is usually always someone there to take receipt of them for me, or to have them left securely hidden away in our designated hiding place! Parcelforce seem to visit us regularly, in fact our local delivery driver refers to me as ‘the pram lady’ as apparently I have more pushchairs than the average Mummy would. I guess I must be in receipt of a fair few parcels for this distinguished name to have been awarded to me! 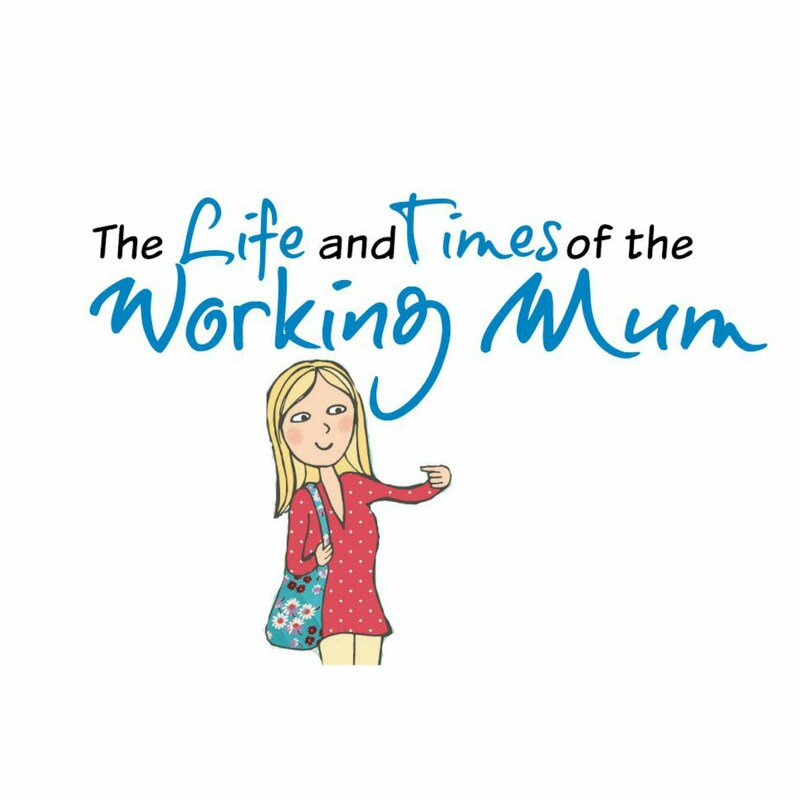 In fact as soon as a delivery van pulls up onto my Mother’s drive I have often heard her mutter ‘Oh not another parcel!’ like she is already mentally signing her signature on their digital signing machine! Now being the impatient lady I am, I do like to know where my packages are and when I can expect them to arrive with me. 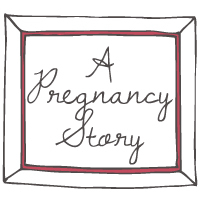 This was especially the case when I was pregnant with Leo and ordering all of the things that we were going to need. 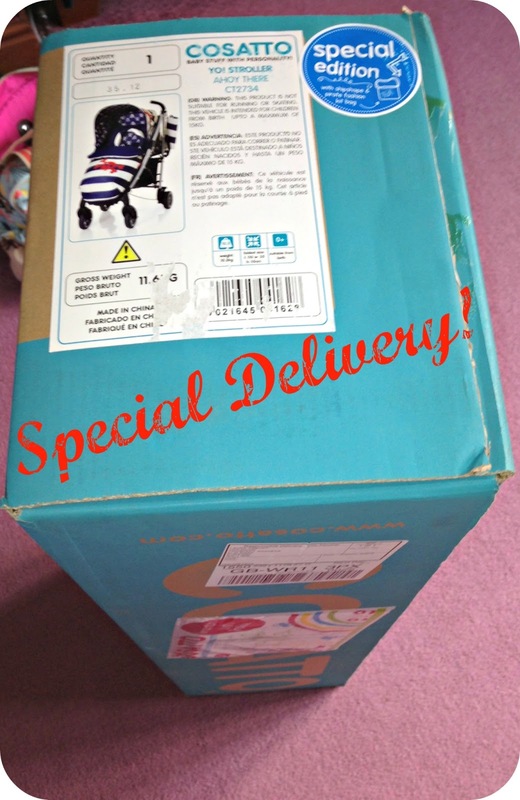 I ordered everything online through Kiddicare and Mothercare, and with the provided tracking number I was able to see the process that took place on the run up to delivery. The same can be said if you are the one sending a parcel, you still want to be able to check in from time to time to see if it has made its way to the intended destination. Being able to track your package is really reassuring and if you are impatient like me or just wanting to know that the item you sent is moving along as it should. Tracking your parcel gives you an idea of when to expect delivery and reassures you that everything is being taken care of. Last Christmas Leo was just about to turn 6 months old, and in contrast to this year he is completely different child. At 6 months old he was just beginning to start rolling around the room to get to certain toys that he had set his sights on, now…he runs everywhere and has no problem in getting exactly what he wants. I have wanted to make an effort at Christmas from the very start, implement traditions that we will carry through the years throughout Leo’s childhood and beyond. Last year we took Leo on the Santa Express train, and it was such a lovely experience even for a baby in arms. 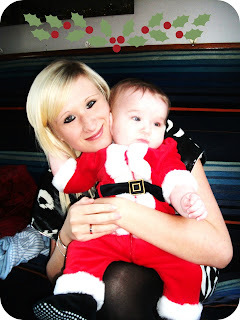 I dressed Leo in his festive Santa’s outfit and we set foot onto the express train heading to the North Pole. 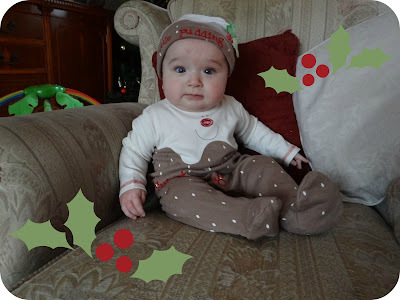 Even Luke got into the festive spirit and agreed that this would be something we do with Leo year after year, and those photos from the Leo’s very first Christmas will act as a reminder for always. This year Leo will get so much more out of this magical train ride to visit Santa Clause, and I know in turn I will too. 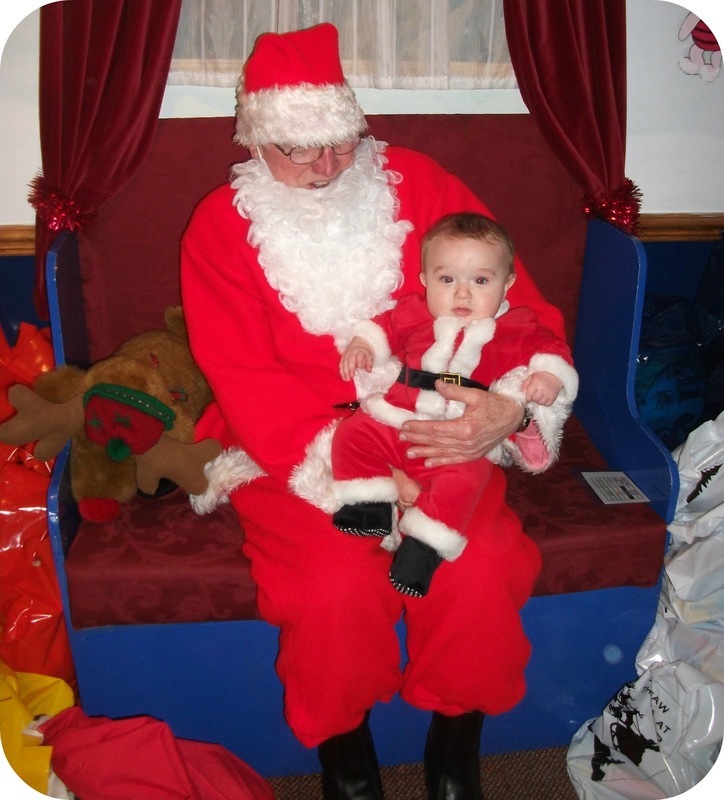 The train ride with all of the decorations will actually mean something to him this year and who knows what he will make of the man in red himself? 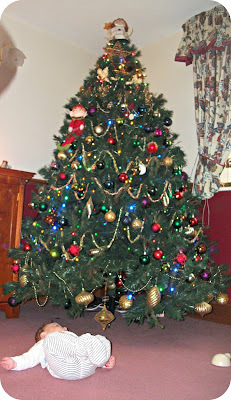 For the first time ever we are going to be in our own home, with our own tree. A tree that will need decorating with fairy lights and pretty decorations to let the Christmas magic shine in. 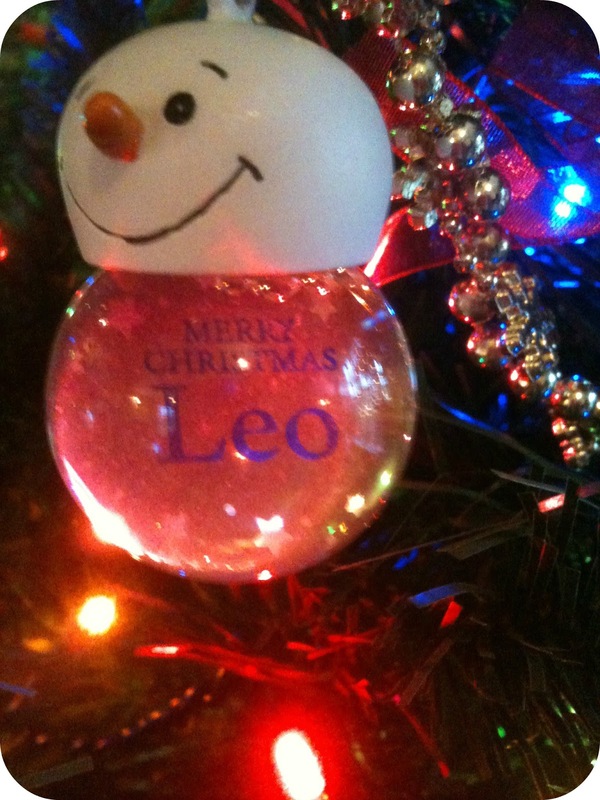 Leo’s very own decorations will be getting hung on the tree, decorations that we bought in anticipation of his very first Christmas back in 2011. This will be our very first family Christmas tree and I am looking forward to decorating it and putting these very special decorations on pride of place. I imagine next year Leo will be at an age where he can help me decorate the tree, rather than pull it down. 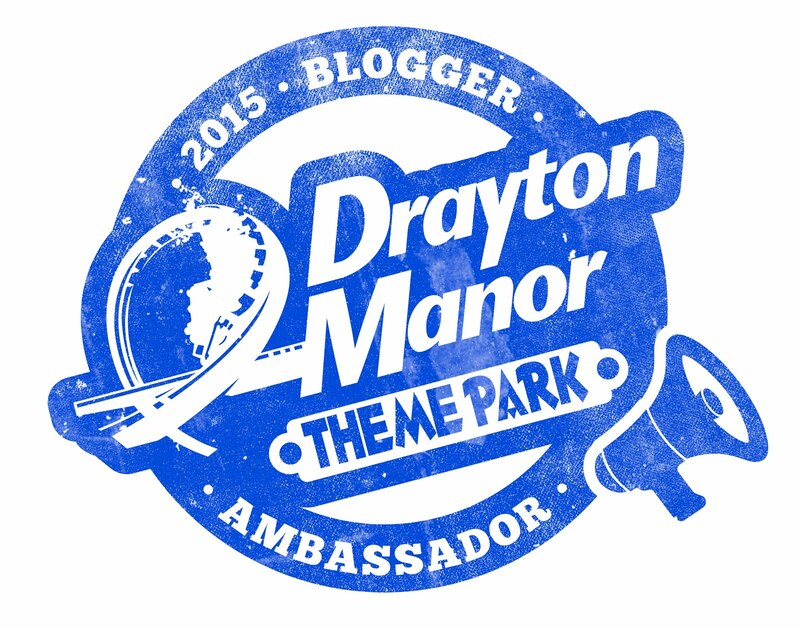 Next year the magic will be even more apparent and mystifying. When Leo’s belief in Santa Clause and all of his elves is more alive than ever. I can’t help wanting to nurture Leo’s belief in the magic of Christmas for as long as I possibly can, I am already dreaming up the ways that Santa will manifest himself into Leo’s life, confirming his existence at this very special time of the year. We will be spending the big day at my family’s house, where Leo and I will have Christmas lunch before heading off to visit Luke’s family. It get’s harder to spread ourselves around as on these special occasions everyone wants to see Leo opening his presents. I have always spent Christmas at home with my family, and that is what I wish to continue. I am open to compromise around Christmas evening where we will visit the rest of the family, so that they all get a chance to see Leo. Christmas Eve is the most magical night of the year to me, I think it even tops Christmas Day. Christmas Eve is when all of the anticipation is at the highest point, I could never sleep on Christmas Eve when I was a child, and last year I was just as excited as I was way back then. 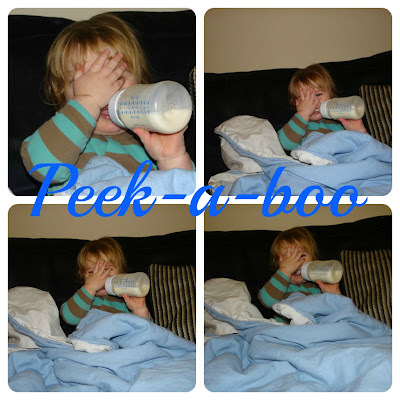 As Leo slept soundly in the next room, my stomach was doing somersaults in excitement for the next day! This year I will be reading Leo ‘The Night Before Christmas’ just as I was as a child. I have asked Santa if he will drop off 1 present early for Leo, his Christmas Pyjamas, with his slippers and a dressing gown. All ready for the next morning when we head down to see whether Santa has been or not. I feel more excited by the thought of Christmas than ever, I guess it gives me a second shot at reliving all of the magic that comes with it, even if I am living it through Leo. I have to admit that I often sneak a peak at where Santa is via Norad Santa Tracker on Christmas Eve, just to see what he is up to and what part of the world he is flying through…It will be great to show Leo this when he is older…At least then I wont be watching on my own! What are your Christmas Traditions? 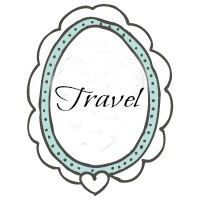 And what will you be getting up to this year? 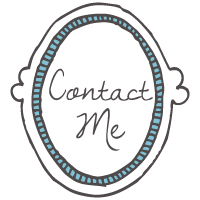 I was recently asked if I would like to trial Casabu – the flash sales parenting site with a very wide selection of products for parents and children alike. 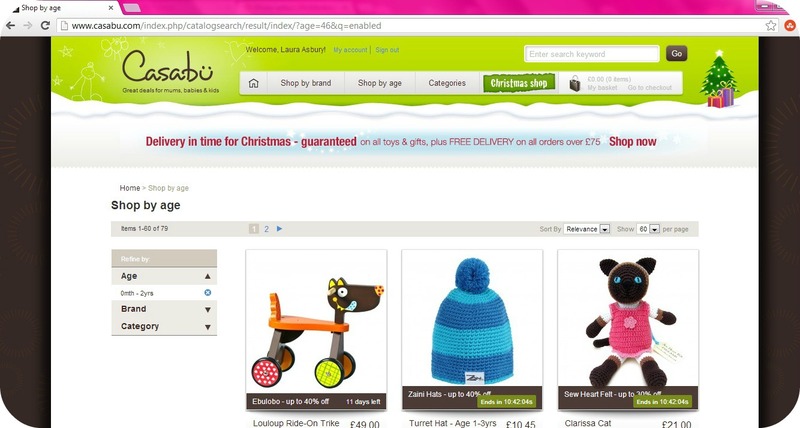 Casubu have daily sales from a variety of the exciting ranges that they stock, from clothing, toys, nursery equipment, maternity gear and many other great products with up to 90% off retail prices. 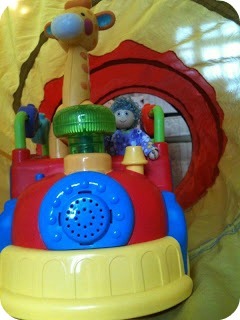 The website is really easy to navigate and I soon found myself browsing all of the toys suitable for Leo’s age range. With Christmas on the not so distant horizon, toys are all I seem to be thinking about at the moment. 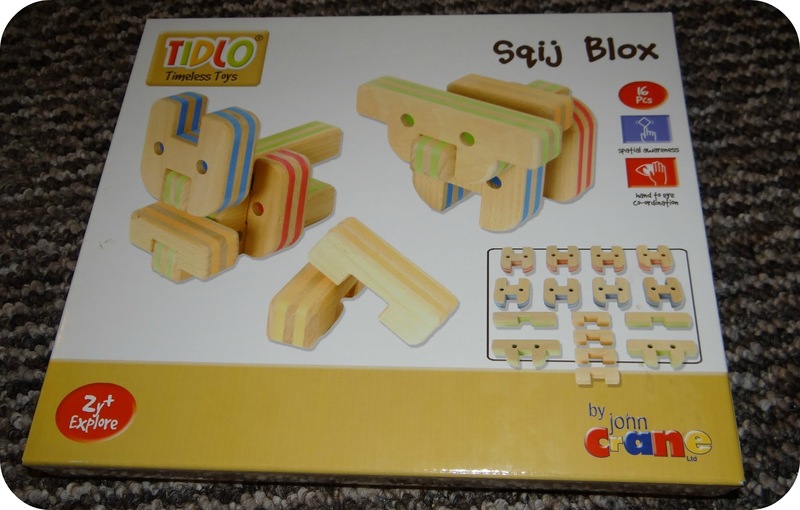 I was really impressed with the toy selection Casabu have on offer, from jig-saw puzzles, ride on trikes, board games and fantastic wooden toys there really is a toy for everyone. To bring up all of the toys suitable for Leo’s age range: 18 months plus, I simply set the perimeters to reflect Leo’s age and the category that I wished to look in. Within nano seconds I had all the toys in front of me that reflected the search I had conducted. 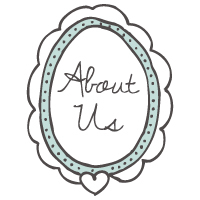 I found the site really easy to navigate; from first opening the site right up until check out the whole experience was great. 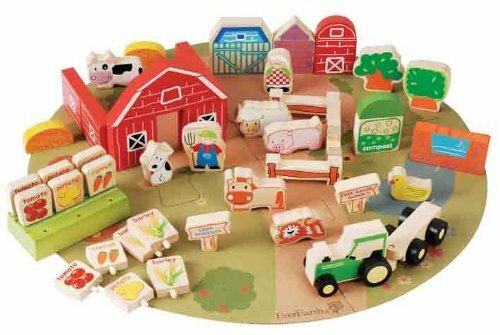 I found Leo the perfect Christmas present, a 53 piece wooden farm that I just know come Christmas Day he is just going to love. The farm cost £25.00 with a saving of around £25.00 thanks to the flash sale on Casabu. It took 13 days from the point of order for my order to arrive, but from looking at the product information on I gathered there would be a slight delay. I wasn’t in any immediate rush for my order to arrive so that was no issue, but if you look on the page of the product you are looking to purchase it usually tells you if there will be any issue with delivery. 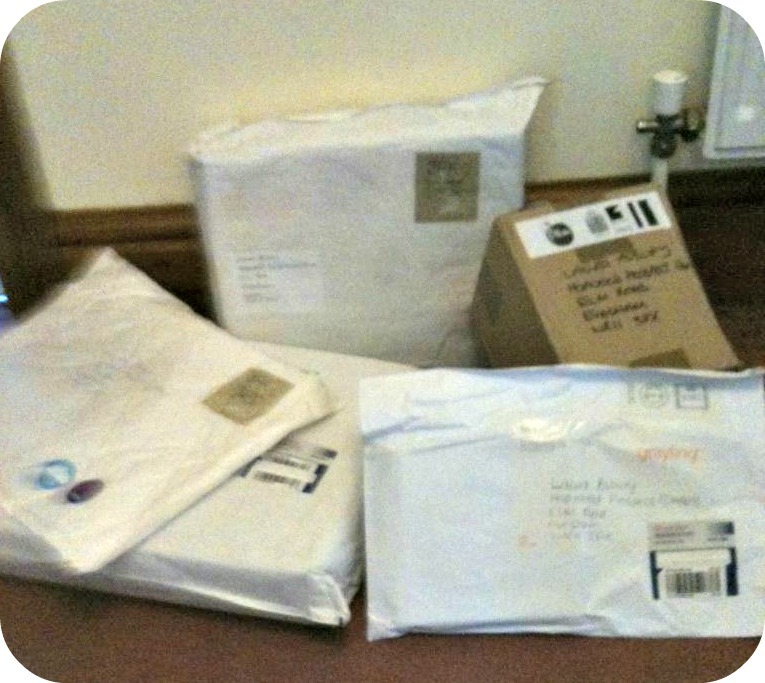 For any orders over £75.00 you can benefit from free delivery, and it would not be hard to spend the £75.00 either. 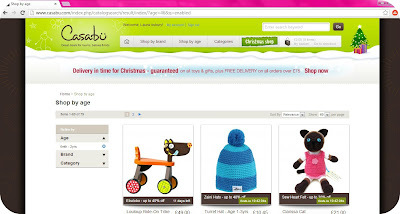 Now I know about Casabu I will most certainly be shopping with them again, there are so many products that would make perfect gifts for Leo’s little friends, that I know my second order with them is immanent. Casabu have been short listed for the Startup Awards 2012, the awards that celebrate the success of businesses who have been trading for less than 3 years. Casabu actually launched in April 2012 so to be nominated and shortlisted is a great achievement. Disclaimer: I was provided with a voucher to shop online at Casabu for the purpose of this feature. 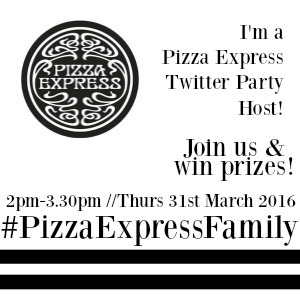 However all views and opinions expressed are completely honest and my own. 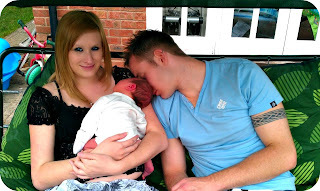 17 whole months have now passed since Leo’s arrival and I still find that incredibly hard to believe. I was just looking at baby photos of Leo this week, photos that date back to the very start of our adventure together. Photos that show a fragile new baby, who relied on his Mummy for absolutely everything. 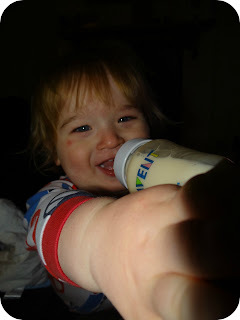 Looking at Leo right at this very moment in time, it is so hard to believe that he ever needed me in all of those ways. In every single way, shape and form he is growing up. Leo has developed a real passion for helping Mummy with the laundry, well I say helping. I do of course mean hindering. Leo can be sat as good as gold on the sofa, and then when I decide to put the wash on, as soon as he see’s me playing around with the household appliances, he is by my side in the kitchen like a flash. He loves to open and close the door and play around with the dials, sometimes he even manages to get the wash on, which usually entices his ‘wow’ face. 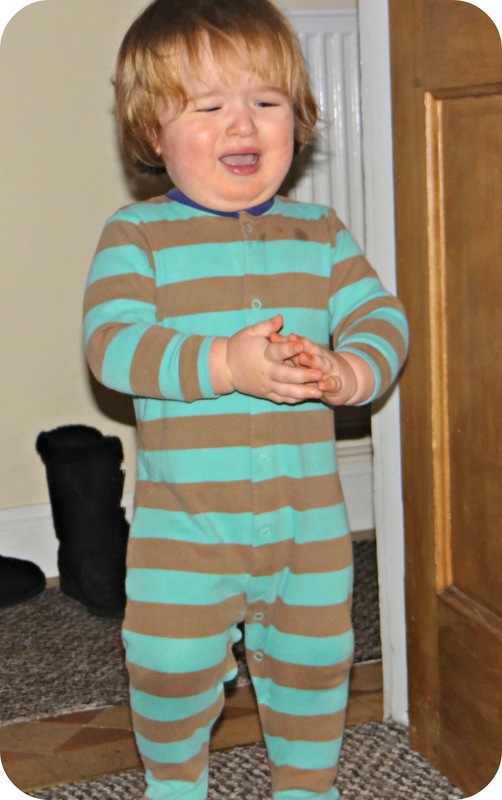 A look of pure amazement with… you guessed it, a wide open mouth. 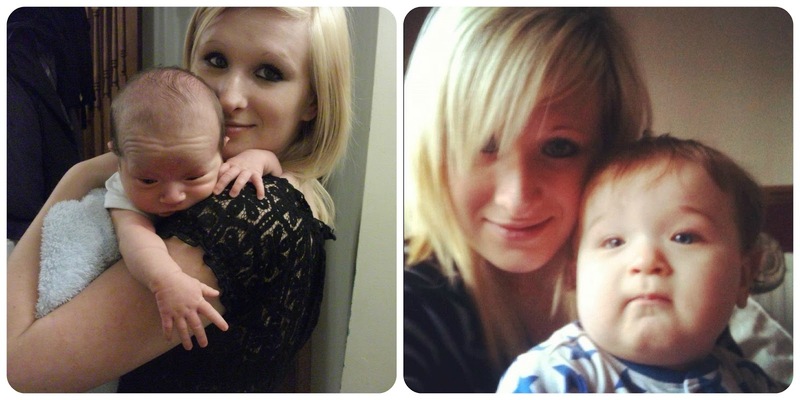 All was forgiven though when Leo decided to brush both mine and his Godmummy’s hair. We both looked a little bit tangled afterwards…But Leo loved playing hair dresser! 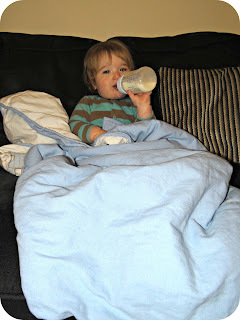 I have talked about Leo’s blankie in the past, and how his love for blankie has increasingly grown in recent weeks since the house move. Blankie literally comes with Leo all around the house, it is the very first thing he reaches for in the morning before being picked up out of the cot, and he gives it numerous snuggles throughout the day. 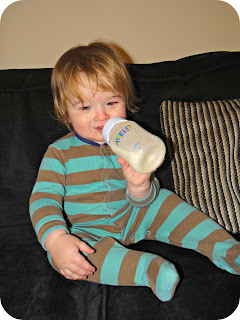 Usually around sleepy moments and always, always with his bottle of milk. I love that Leo has such a comfort in his blankie, and I love how he cuddles in close when he has it in hand. It is one of the only times he really has a proper cuddle during the day. 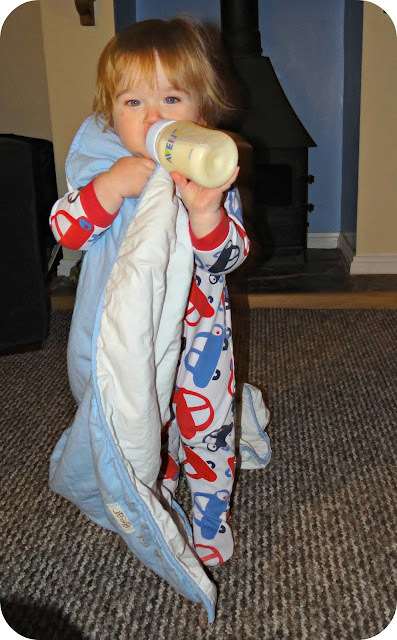 When it comes to bedtime, it is the same story each night, after Leo is in his baby grow, it is not long before blankie is in one arm and the milk bottle is in the other. 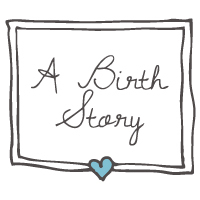 We sit together in Leo’s bedroom with just the glow of the night light upon us, when the time comes to go to sleep I lay him down in his cot. I will then put my finger to my lip and make a ‘shh’ sound, and these days Leo will do exactly the same back. As I leave his room he continues to ‘shh’ me, making it harder and harder for me to get out without giggling. 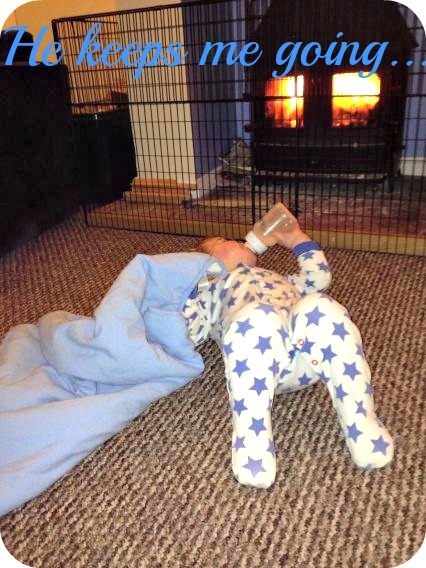 It would seem that Leo has really settled into his new home and his new day to day routine. Mornings can be a bit of a rush what with having to get Leo to Granny’s house, but our evenings are usually relaxing in front of our new log burner. Leo is so fascinated by it and watches Daddy so intently as he puts more logs in to burn. Having said that though he never tries to touch it, which of course is great as at present we don’t have a fire guard. He will however stand there and say ‘oush’ while pointing directly at it. I can only imagine that he is saying ‘awch’ as I have tried to drum it into him that it is hot and it will hurt if he decides to touch. 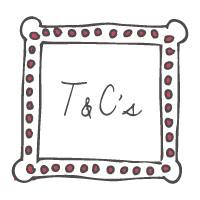 What have your little ones been getting up to this week? Moving house for the first time very quickly highlights all of those things that you are going to need. Things that you don’t have and things that you will need to get very quickly for that impending move. 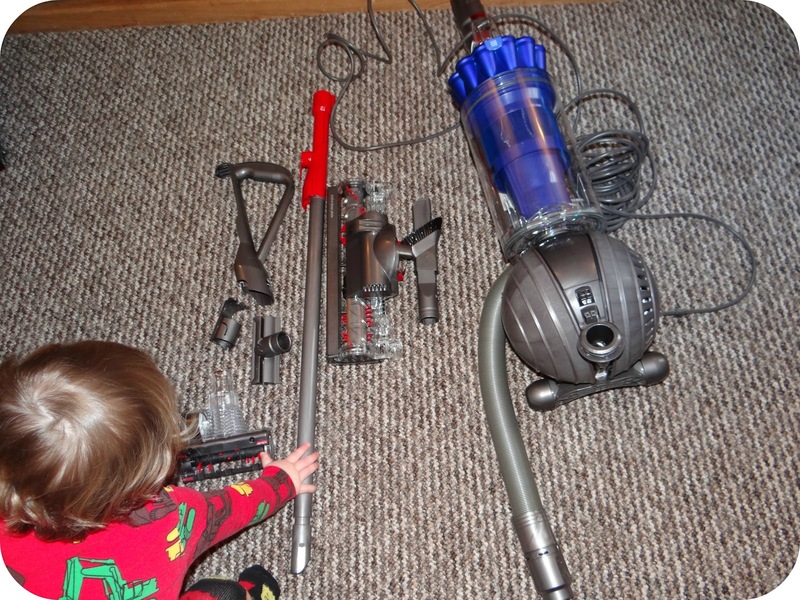 One of those things for us was a vacuum cleaner. 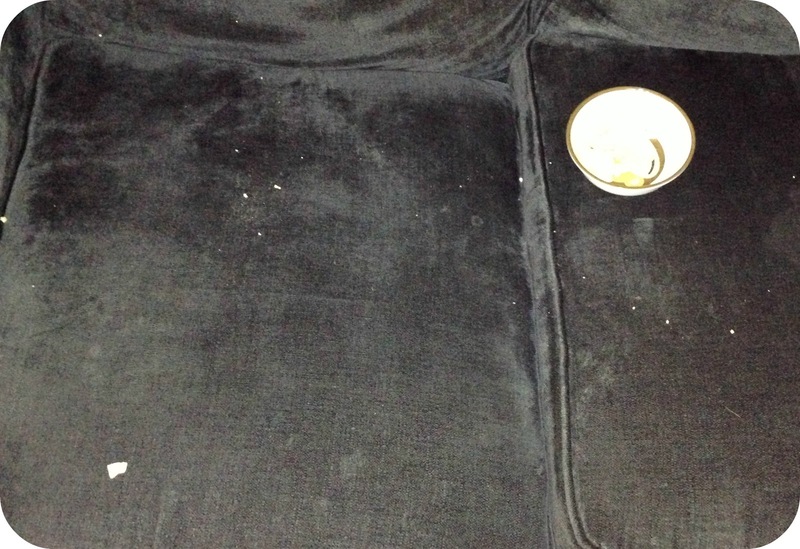 An essential piece of equipment with Leo on the prowl, dropping crumbs on the floor, behind the cushions on the sofa and boy…Don’t get me started on the dining room. Dinner in our house is one very messy affair; Leo seems to feed more food to the floor than he does to his mouth, and for me that is more than enough reason to lie black bin liners underneath his chair to catch all the debris that rains down through each meal. 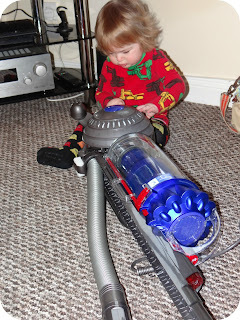 Dyson have very kindly saved our necks, not to mention our lovely new carpets and sent us a selection of their extensive range to try out in an attempt to save our new home from the mess that accompanies toddlerhood! 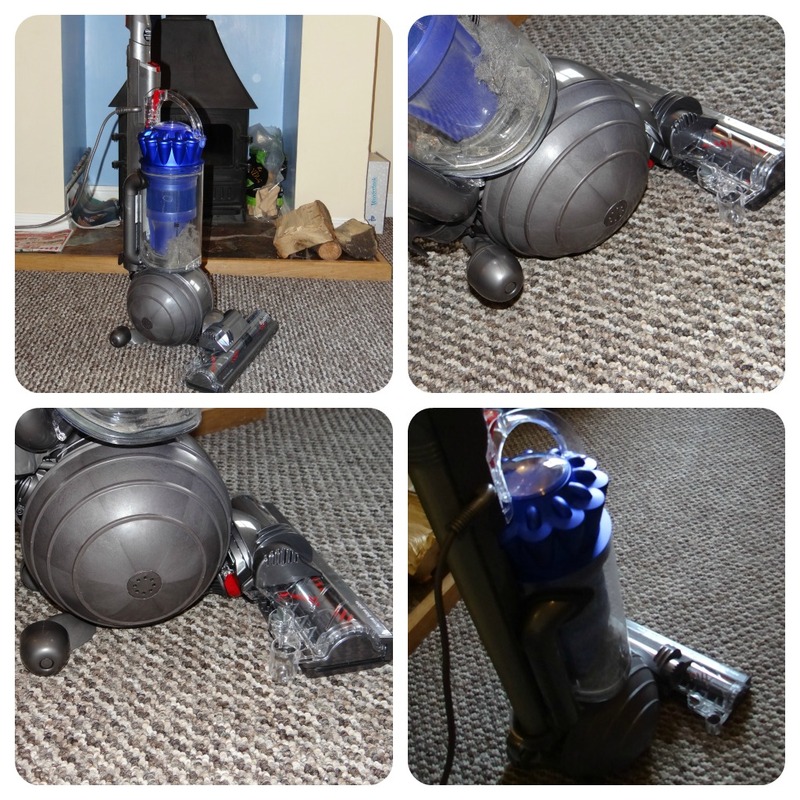 The first one I am going to be telling you about is the Dyson DC41 Animal, the bagless upright vacuum cleaner. I want to start by confirming that they have named this powerful vacuum an animal for a very good reason, and it certainly lives up to it’s name. 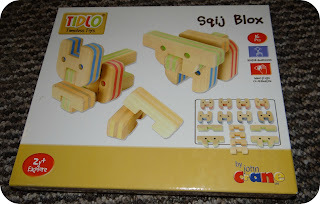 I found the setting up of the Animal really simple, and within a few minutes I had it all assembled and ready to go for a spin, the instruction manual provides you with a clear and concise diagram which shows you what to attach and where to attach it. It must be fool proof as I managed it flying solo. 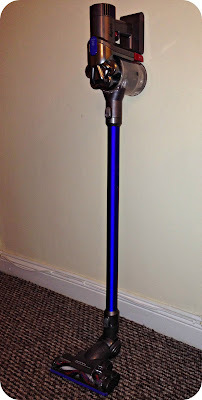 I am no stranger to Dyson as my Mum has an older model that has served her well. Of course living with them and little Leo, we have become accustomed to one another to say the least, what with all of the mess Leo makes on a daily basis; this older model does not feature the ball technology and is substantially heavier than the Animal. Going from a 10 year old model to the latest model, I have been amazed at how light and manoeuvrable it is. It is so simple to glide around the room, and you don’t even have to go in straight lines, backwards and forwards any more. You can go where ever the mess is! 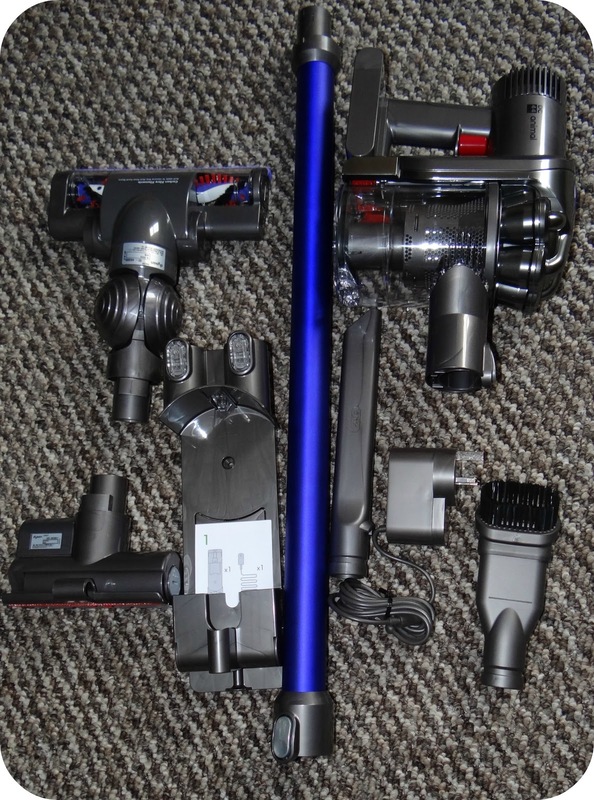 The Dyson comes with everything you could possibly need and more, there a number of different heads that you can attach to vacuum hose for each of those unique hard to reach places. 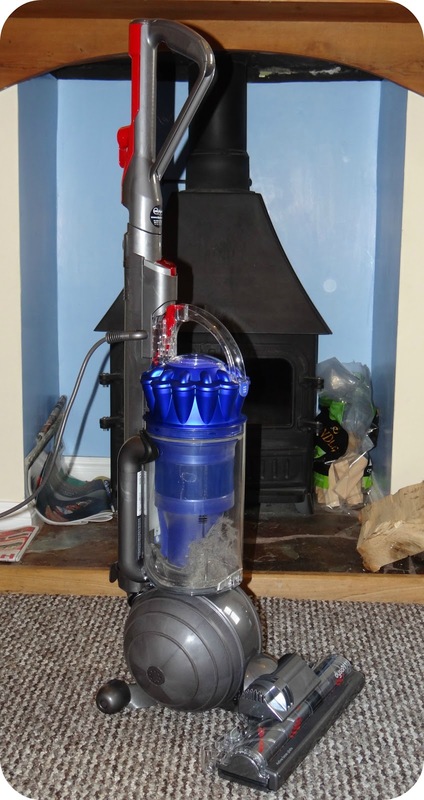 This upright vacuum cleaner is great on all floor types, we have a laminate kitchen floor, carpeted lounge and dining area, where as the hallway is tiled. The Animal gets around the entire house smoothly and really does the job, leaving no room un-turned. 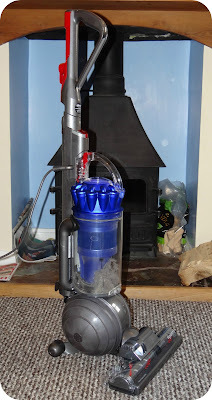 With the long extendable hose and stair tool attachment, I can get up and down our steep steps with ease and very effectively clean the entirety of the stair case, I do have to move the vacuum onto the upstairs landing for the final section, but with it then upstairs I am presented with the perfect opportunity to vacuum up there too. 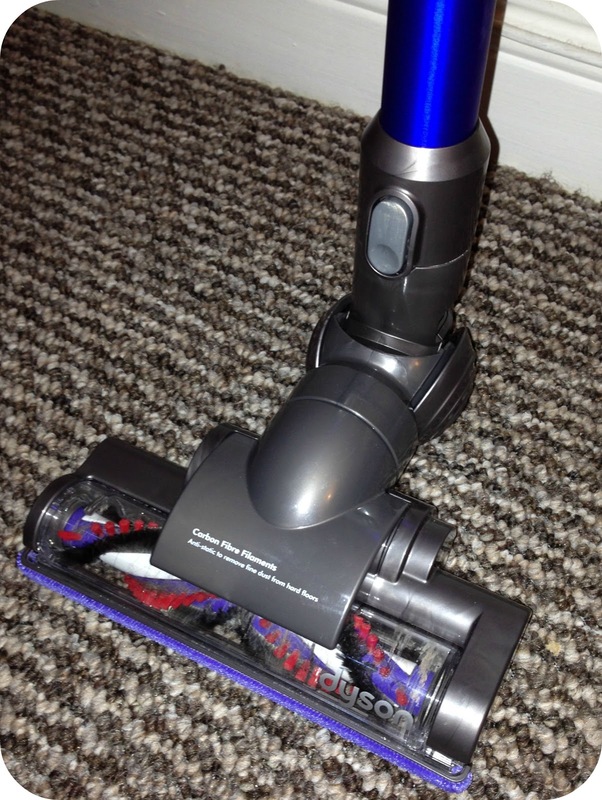 Although we have no pets, the suction that this vacuum produces (it uses patented Root Cyclone technology to benefit from no loss of suction!) would be perfect to get up those stubborn animal hairs, and from what I have heard/read this vacuum comes highly recommended by pet owners for this very reason. Aside from the DC41 being such a smooth ride, I absolutely love that it is a bag less vacuum cleaner. This means no changing of the bag and all I have to do is empty the contents of the full unit into the trash, put it back into position and continue my mission to a cleaner home. The DC41 retails at £389.99 so is at the premium end of the vacuum spectrum but it is worth every penny, and combine the working function with the 5 year guarantee you really do have yourself a great purchase on your hands. 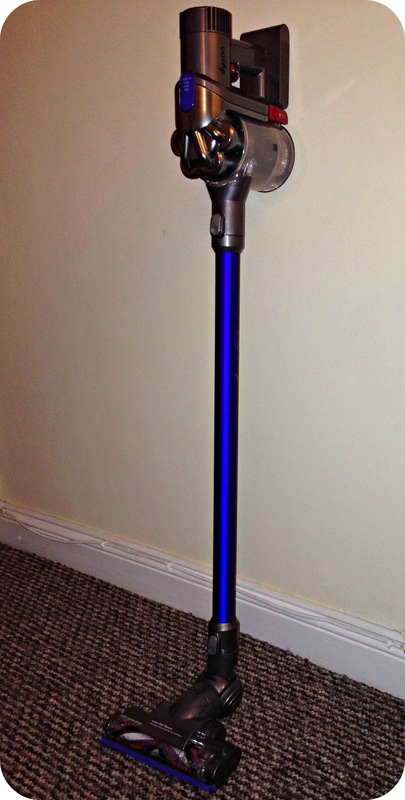 Dyson are currently offering the Animal for £309.99 making this package an even more attractive proposition. 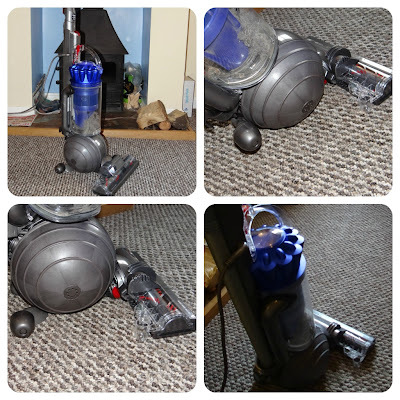 Dyson truly have some fabulous products that would serve any family home well, the Animal truly takes the pain out of whipping out the vacuum and hoovering up. 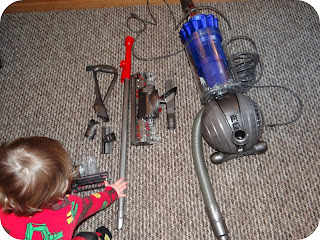 In fact Luke and I have almost came to blows on who got to use the vacuum cleaner first! 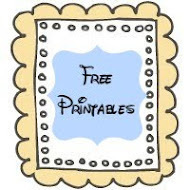 - Ideal for pet hair. - No loss of suction. - Length of hose 4.7m. - Stretch hose for staircase cleaning. - Capacity of dustbin 2.11 litres. - Total capacity 2.11 litres. - Easy and hygienic dustbox emptying. 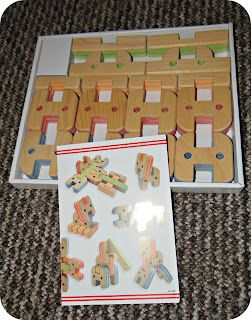 - Includes combination tool, stair stool and mini turbine head. - Suitable for all floor types. - Size H107, W39, D34cm. 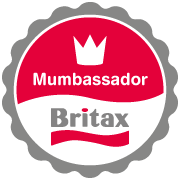 - Manufacturer's 5 year guarantee. 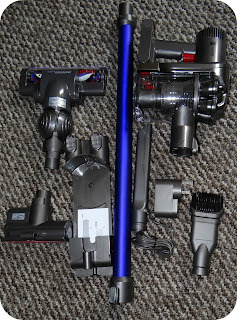 Disclaimer: I was sent the Dyson DC41 Animal for the purpose of this review, however all views and opinions expressed are completely honest and my own. 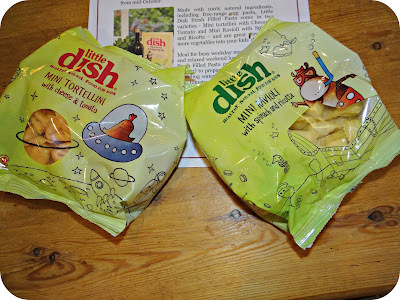 Leo and I are big fans of the Little Dish meal range, they make a very tasty, easy dinner if you are strapped for time and they are just incredibly convenient. 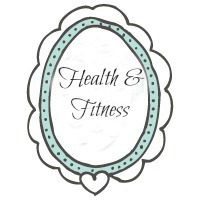 So the fact that they are healthy and Leo enjoys them are just extra bonuses for me! Little Dish have very recently introduced bite sized pasta bags into their already extensive range of meals, and have kindly sent Leo a few to taste test. Each bag of bite sized pasta will feed up to 4 little mouths and is really simple and quick to prepare for dinner. I have been giving a little pasta on each occasion that I feed Leo as I know he will not eat the entirety of a bag, and I don’t want to waste any. 1 bag would see us through a few meals before it was all gone. To prepare the pasta all you need to do is boil in a pan for around 4-5 minutes until they are cooked and then add your little one’s favourite sauce or topping. Leo is a big fan of cheese sauce so I decided to whip up a simple cheese sauce to go over the pasta. Leo wouldn’t even try the pasta on the first evening I presented him with it, and proceeded to just lick the sauce off his fork. 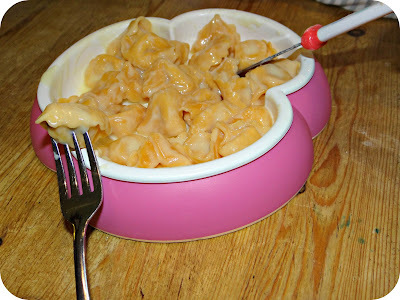 Leo has moments where he can be incredibly fussy…But on the next attempt he absolutely loved his Cheese and Tomato Tortellini and ate every bite in sight. When presented with the Spinach and Ricotta Ravioli, I wasn’t sure what he would make of the Spinach but he continued to chow down and really enjoy it. The new pasta bags are now available from all Waitrose stores and can also be purchased from Ocado.com, so if you give them a try let us know what you think! Disclaimer: I was sent the Little Dish Pasta dishes for the purpose of this review. However all views and opinions are completely honest and my own. I have grown up in the Harry Potter phenomenon, I read the books, cover to cover and I watched the films sat on the edge of my seat. I have even played some of the games that came about in the wake of the films, although I never really got into them they just weren’t hands on enough for my liking. I wanted to be part of the game, I wanted to be the one casting the spells and learning the ways of the wizarding world. 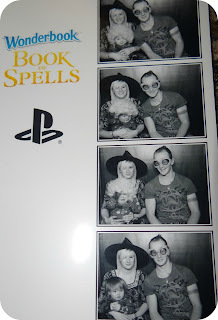 PlayStation must have heard my childhood cries, and now even though Harry Potter is all grown up with children of his own, J.K Rowling has written a new chapter, and in this chapter we are introduced to The Wonderbook – Book of Spells. The Wonderbook – Book of Spells is an interactive book that transports you into the wizarding world, where you embark on your own personal journey to becoming an accomplished witch or wizard. With your wand in hand you learn spells and encounter dangerous dragons on your journey through the magical spell book written by Miranda GoShawk, that you discover while having a nosey in the restricted section of Hogwarts library. 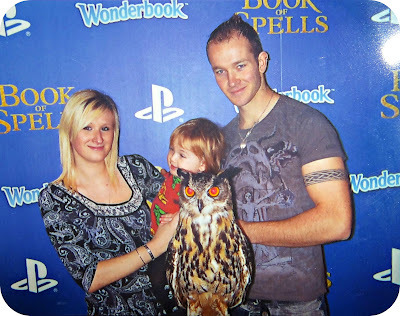 I was invited along to the launch of the Wonderbook a few weeks ago, a day that was promised to be full of fun for the entire family. And it truly was an event that I won’t be forgetting in a hurry. 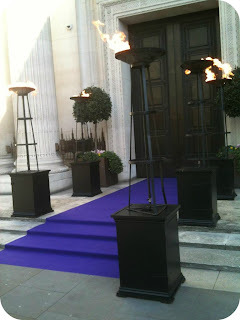 PlayStation went all out and put on a magical shebang for everyone in attendance, from the fire beacons lighting up the purple carpet at the entrance hall, to the dragon taking flight in the hallway. The event was held at the Freemasons Hal which is a grand old building in it’s self. It was very easy to imagine Harry, Ron and Hermione running around. There was a fair old crowd gathering outside the entrance and many whispers as to what was going on inside past the flaming beacons. We didn’t have to wait long to find out, we were soon greeted by a wizard. A wizard who hates children. He spun his words at everyone, picking out the odd few children to personally make squirm, some of them laughed, others cried. Leo…well he wasn’t flustered at all. Inside the great hall the magic continued, the dragon hanging above my head was taking flight and we were soon face to face with a real life owl. In true Harry Potter style of course! Leo was so fascinated by the owl, as were Luke and I. He could contort his head all the way around to face us even without moving the rest of his body. There was of course a notice saying ‘do not touch the owl’ as owl’s do tend to have a little nip, so what does Leo try to do? 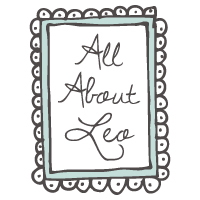 You guessed it…Leo tried to touch him on multiple occasions. The magic continued upstairs where we met more witches and wizards who helped us guess their tricky riddles; I don’t think the wine I was sipping helped me with this however! As we progressed up the levels to ultimately have a first play with the Wonderbook, we came across a fantastic traditional sweet shop, where they were giving away complementary, sweets and cakes. 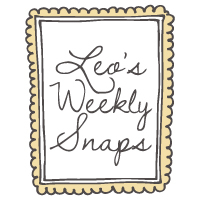 They had absolutely everything you could imagine, and as I was deciding what I would like to try, Leo took ample opportunity to pick up a pure sugar mouse and stick it in his mouth. The man did question whether I was happy to let him eat it…But by the time I had realised…That poor mouse was a goner. May he rest in peace. It was now time to have a play with the Wonderbook it’s self, sitting ourselves comfortably on the floor we picked up the magical wand and opened up the book. The PlayStation Eye camera was fixed upon us and there we were on the television screen. In front of me on the floor was the Wonderbook, it looked empty and lifeless but on the screen it was a completely different story. The Wonderbook was full of writing, illustrations and magic. The book was guiding us through the levitation spell and Luke was making a glass pot float past our heads. It is truly a fantastic bit of kit and is set to be a big hit this Christmas, the game was released on November 13th 2012 so if you, like me are a big Harry Potter fan and want to get swept away into the wizarding world, I highly recommend giving the Wonderbook a play. You will be absolutely amazed by the move controller turning into a real wand and you probably won’t be able to believe your eyes. 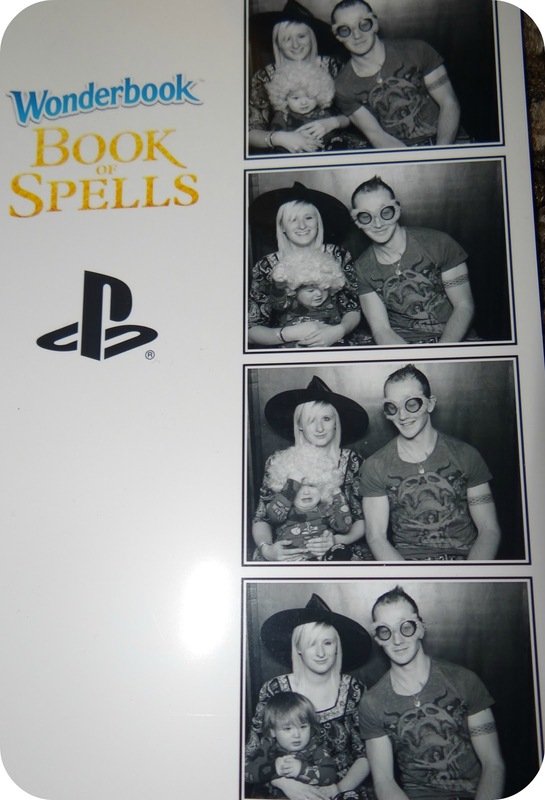 PlayStation put on a fantastic launch for The Wonderbook and I would just like to say thank you for having us along. We all had a fabulous time and even got to take the magic home with us in the form of our very own Wonderbook. I will be posting a full review very soon on this new interactive book of spells and I look forwarding to sharing the magic with you all. Disclaimer: I was invited along to the Wonderbook launch event, my travel costs were paid and I was provided with a Wonderbook for review purposes. However all views and opinions expressed are completely honest and my own. 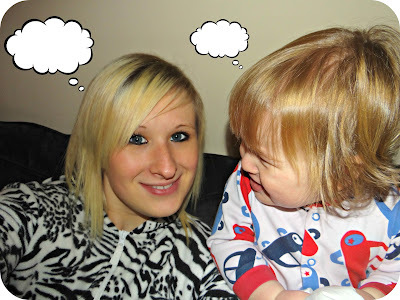 I think every parent has a little slip of the tongue at some point. I for one am not exempt from this un-written rule. However I do remember saying ‘Damn it!’ for some reason or another, and as soon as the words had left my mouth I regretted them. I looked down to see Leo staring up at me, before he in turn repeated me word for word. I sat there un-sure he had just said what I thought he had…But he most certainly had. I haven’t heard it since and I have been very careful with everything I have said since…I have even tried to convince myself that he said ‘Jam’. I found myself thinking how typical it was. Out of all the words I try to get him to say on a daily basis, words that I repeat over and over to him, he ignores, but he says the one thing I say right off the tip of my tongue, words that I had no intention of him picking up on. I really need to take into consideration what I say, even if it is in the spur of the moment. There are little eyes and ears everywhere and apparently it is those words said in the spur of the moment that they will pick up on. I don’t think I had even realised I had a parrot in my midst, I guess I am still thinking we are months off having to worry about this sort of thing, but the fact remains that Leo is learning and Mummy needs to curve her tongue! 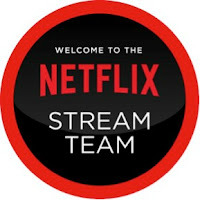 I have been keeping a secret. A secret from my other half. After all…I don’t want to hurt his feelings. But the time has come to tell him. Yes I think I am ready to talk about the monster that has been lurking in the closet now. I have a problem, an OCD sort of problem when it comes to the washing up. I have to do all the washing up myself, as I have to know everything is super squeaky and shiny. I also have to do all of the drying up myself too…Just so there are no fluffles left on the plates or in the glasses. They all have to be pristine when they go back into the cupboard. There have been occasions where Luke has put dirty items on the draining rack. The mug he was using to drink his tea (because he might want another one later) or the knife he used to cut the cheese…Because they are still clean in his eyes and don’t warrant a scrub just yet. Just the other day I scrubbed what looked like years worth of tea stains out of his favourite mug, the mug he had left on my clean draining rack. 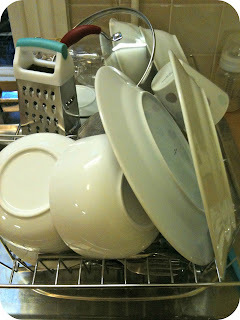 Now this post is not a dig about Luke’s washing up ability, or enthusiasm for washing up. He offers all the time and I always decline. Luke has often wondered why the washing up takes me so long and why I insist on doing it so methodically or even religiously. He has wondered why I don’t ever let him do it himself and why I even come over all snarly when he offers to dry for me! But last week Luke beat me to it. He did the washing up himself. I sat there on the sofa watching him. This was on Wednesday night, so when he went to work the next morning I ran my finger over the plates and the entirety of last nights washing up. I was greeted with residue food and washing up that did not reach my satisfaction. 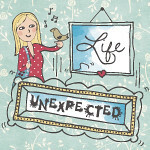 I don’t even remember much after that… The sink was suddenly bubbling with hot soapy water and when I came too all the washing up was now sparkling, running my fingers back over the plate I was pleased to see that the residue that was once there was now gone. It doesn’t just stop there though. My washing up problem exceeds just our kitchen. In restaurants when I sit down, at my parents, anywhere… If the cutlery or cups look a little grubby I will swap it, usually with Luke’s when he isn’t looking, just so that my set is nice and shiny. So with my dirty laundry now aired…I guess I best go and do the washing up. Now I am back at work Leo is looked after by his Granny three days out of the week, and in 8 months time he will be joined by his baby cousin. Leo’s Granny suffers with rheumatoid arthritis and often struggles in getting Leo around…Let alone two of them! Obviously when the time comes we will be in need of a double pushchair that is easily manoeuvrable and easy to operate. Above all else though we need something that will comfortably seat an 8 month old baby and a 2 year old toddler. 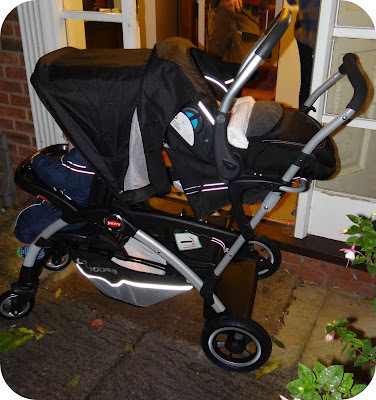 Joovy have very kindly sent me the Ergo Caboose tandem stroller to try out with the two little monsters, and the great thing is, is that we can use it from the word go with my newborn nephew thanks to the included car seat adapter that comes as standard. The Ergo arrived quickly and it was soon sat in my living room waiting to be assembled, I lined out all of the bits and pieces individually so that I could see where to start piecing it together. The first thing I did was open up the frame of the Ergo by simply opening up the clip that was keeping the frame folded in place. I then squeezed the Black grips and got the stroller into it’s up right position. The next step was to attach the wheels; this was really simple to do and didn’t take me long. 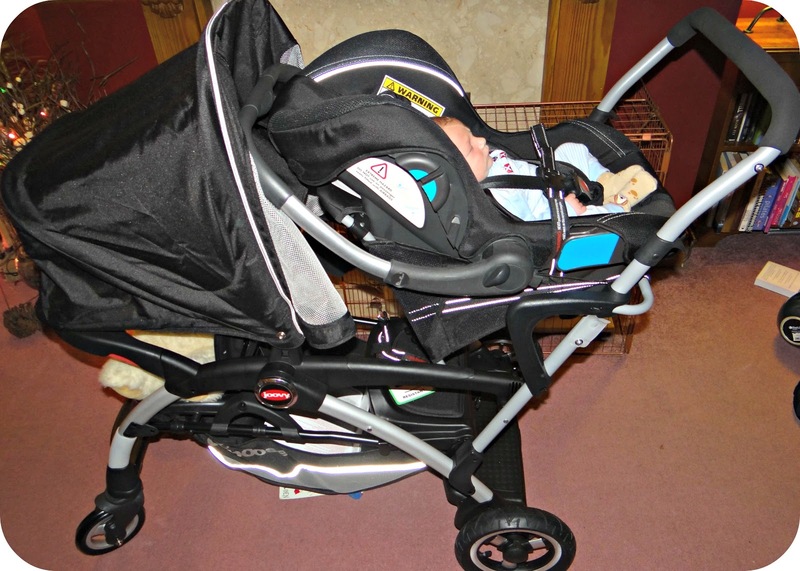 The big air wheels go on the back of the stroller and simply click into place on the side. The smaller wheels go at the front and need to be positioned up right and clicked into place. You will know when they are in properly due to the ‘click’. It was around this time I turned my attention to the instructions manual for a little bit of guidance on how to proceed next, there is a written manual that directs you through what to do and a series of diagrams. All in all the assembly didn’t take long and it wasn’t too difficult to work out where everything was supposed to go and how to attach it. I found the best instructions were provided in the written manual and didn’t really find the images incredibly useful. My first impression of the Ergo Caboose is that the practicality and ease of using the stroller is the over all selling point. When you have two children so close in age, practicality is what actually sells a pushchair to you. 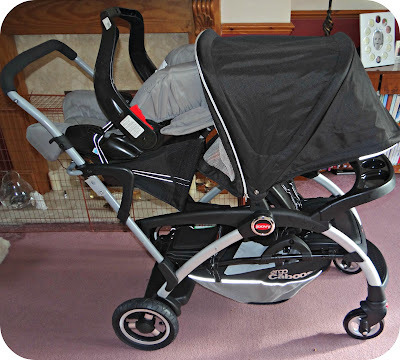 To get two kiddies around you need something that ticks all your boxes in function, how the kid’s sit, where they sit and how easy the overall operation of the stroller is. There are a number of seating options with the Ergo, there is the front seat where you can sit a older baby of about 6 months old upwards into toddlerhood. 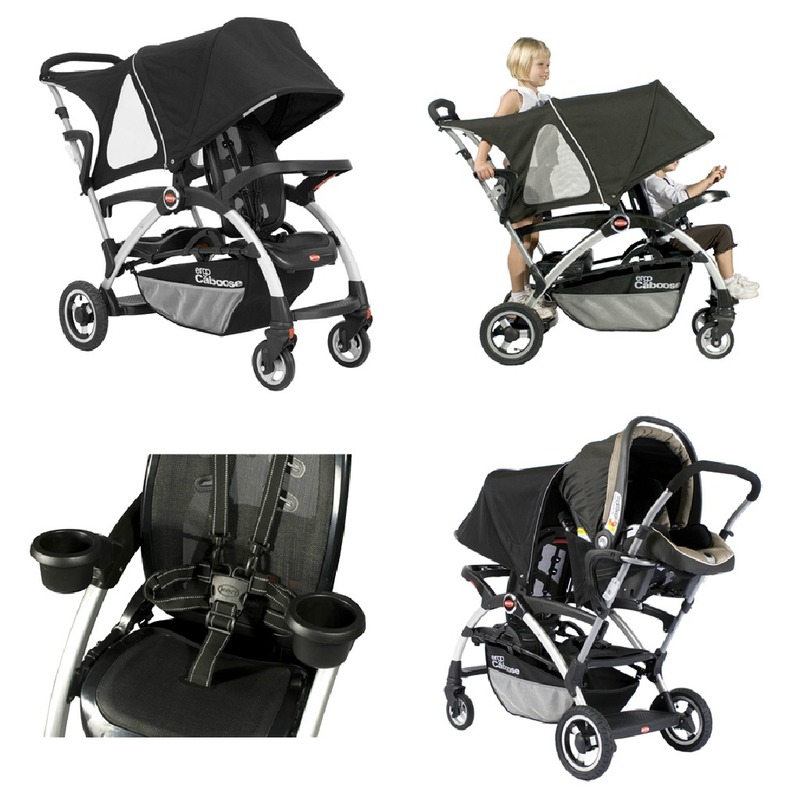 The seat unit is ergonomically designed with transitional mesh which helps to eliminate pressure points by evenly distributing the child’s weight across the entirety of the mesh seat. Joovy have also been improving the seat recline on this latest model, and it now features a magnetic recline lock so that you can make seat adjustments quickly and easily. On the front of the main seat unit you have the option of either a tray or cup holders for your little one. We are currently sporting the tray as I thought this may be the more useful option for Leo at present. By squeezing the red grip on the right hand side you can actually swing the tray up so that you can get your little one in and out easily. You then have the rear seat where your child can sit strapped in or even stand on the built in platform, or both if they like to change their mind, which let’s face it…Kid’s do! The back seat actually flips open and grants easy access to the large storage basket, which is actually huge. You could fit so much in there that you may decide to leave your changing bag at home, just like we did. 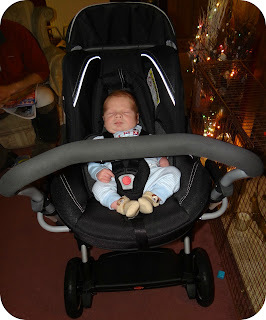 With the included universal car seat adapter you can use the Joovy from birth, and what I really like is the positioning of the baby. The car seat adapter attaches so that the baby is facing you and within easy reach, giving you the perfect view of everything that they do. The car seat adapter should allow you to use most infant car seats; it is more of a perch for the car seat that you clip in to place, like you would in a shopping trolley with a car seat. This is great as if you already have a car seat, you don’t need the added expense of purchasing a new one. You may have noticed the rather impressive hood that the Ergo Caboose features. This has been specifically improved for this model after all of the customer feedback was taken into consideration. The giant canopy is there to provide sun protection to both the children riding in the tandem and it certainly does keep them covered. There is a zippered open top which allows the child in the back to stand should they wish. The canopy is rigid and does a great job even when the wind and weather come into the equation. It is not an issue and the canopy just stays put. Joovy have made another change to this new model and that is the twin piston front suspension which has been added to the front wheels. This new suspension improves the over all performance of the rubber wheels, providing the kiddly winks riding along a smoother ride. Over all we think that the Ergo Caboose is really practical, it allows you to sit two children comfortably and safely. 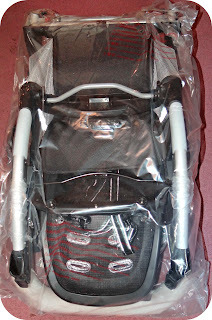 What I really like is the included car seat adapter which makes this tandem stroller suitable from day 1. I have found it a little heavy and it does not fit in the boot of my 206 but it is certainly not the heaviest double I have ever come across. I have found it difficult to get the Ergo up curbs as it is quite bulky but I have got around this by looking for the dropped curbs where possible. Of course with the bulk of the stroller you also get the sturdiness, and this stroller is incredibly sturdy. 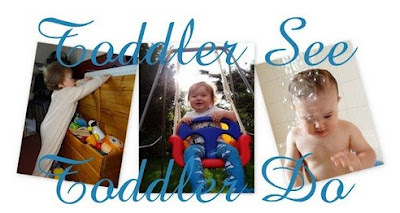 We have tried it out with Leo and a little girl his age and with the two of them it did make the Ergo heavier still, but once out and about it is easier to push, and most importantly it kept the two toddlers in their seats! Leo absolutely loves to sit on the rear seat, I think he thinks it’s a hiding place or even a play house! The times I have caught him climbing in it when I have left it up in the hallway! 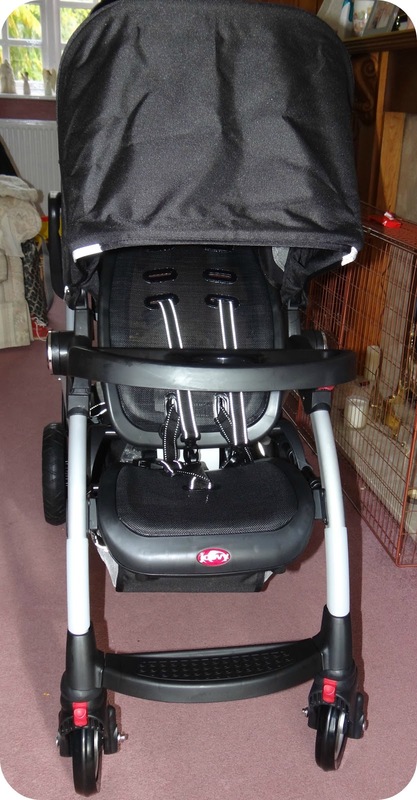 Putting the stroller up and down is simple and you can fold it with the car seat adapter and everything else on including the canopy. All you need to do is unhook the canopy from the back of the stroller and collapse it forward. Then you can simply push in the button on the right hand side grip, while squeezing and pushing forward so that everything collapses. 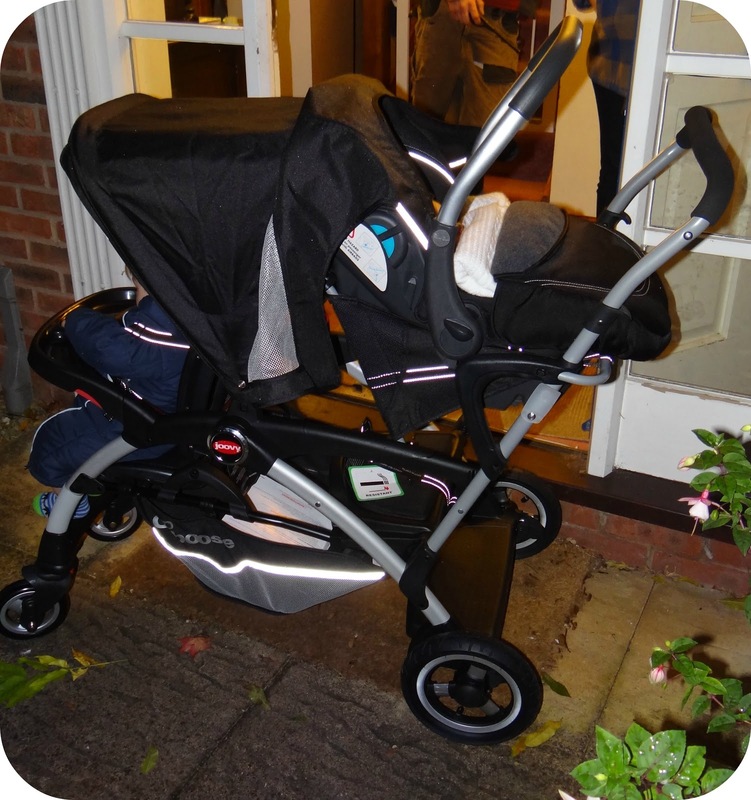 So over all I think the Joovy Ergo Caboose is really practical, and the price of £366.00 is very reasonable for the strollers capabilities. Joovy have a great selection of strollers from singles to doubles, so if you are in the market for a new stroller you should give Joovy a look. I will leave you with a little video of Leo and I having a little play with the Ergo Caboose, please bare with me as Leo was being a little tinker...As usual! He thinks the Ergo is a fab climbing frame, as you will see! Disclaimer: I was sent the Ergo Caboose for the purpose of this review. 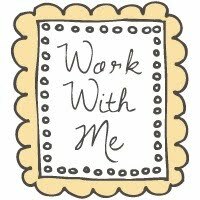 However all views and opinions expressed are completely honest and my own.